Glasgow recently became the first European university to join the rapidly-expanding fossil free divestment movement. Following hot on the heels of the Australian National University, Glasgow promised to move £18m of investment over the next ten years. The international, grass-roots, student-led fossil-free movement now has the support of religious, medical and charitable bodies across the world (181 and counting). These organisations have divested because they can no longer endorse the activities of the fossil fuel sector. The movement is inspired by the success of the anti-apartheid divestment campaign, where financial and moral pressure on companies doing business with South Africa contributed to the fall of the apartheid regime. The campaign is beginning to rattle fossil fuel companies. A fight-back has begun. Pro-coal Australian prime minister Tony Abbott has called divestment “stupid”. Academics, too, have criticised the campaigners as hypocritical. Such criticisms are wrongheaded. Anyone who cares about climate change should support the divestment campaign. 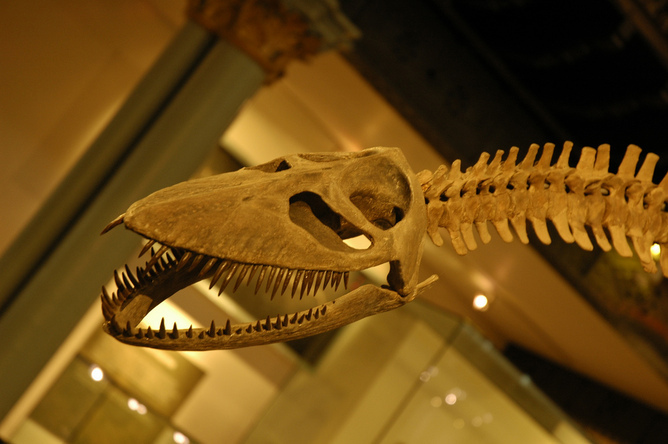 Only friendly fossils still welcome in Glasgow. Viewed at a global level, existing solutions aren’t working. The ability of market-based instruments to reduce carbon emissions is more a matter of faith than empirical evidence. Carbon reductions from renewables, while growing fast, are offset by increases elsewhere. Greater efficiency stimulates growth and consumption, not parsimony. Existing measures are like “squeezing a balloon”: reductions in one place lead to increases elsewhere. The Fifth IPCC assessment warned that we have five times more fossil fuel reserves than we can safely extract if we are to stand a decent chance of staying under 2°C warming. This puts the question starkly: how can we leave this carbon in the ground? The divestment movement confronts the core logic – licence, extract, profit – of fossil fuel companies. One key tactic to make it harder for them to extract carbon is to erode their political legitimacy. Fossil fuel companies use their economic clout to sow doubt about climate science. They lobby for generous subsidies and flout indigenous rights. They commission toys and sponsor art at the Tate, the British Museum, the Royal Shakespeare Company and other cultural institutions to normalise the presence of big oil in our everyday lives. By divesting, organisations such as the World Council of Churches send a strong message: we find your activities immoral. The moral case for divestment is based on the clear environmental damage and the undemocratic power of these corporate behemoths. By stigmatising fossil fuel companies, the divestment movement aims to reduce their political room for manoeuvre. When mainstream figures such as the governor of the Bank of England says fossil fuel reserves can’t be burnt, or the Rockefellers start divesting from fossil fuels for financial reasons, people take notice. The financial case for divestment is based on the carbon bubble. The financial health of fossil fuel companies relies on 2795 gigatonnes of “unburnable” carbon – reserves that have to stay in the ground if we are to have a decent chance of staying under 2C warming. This creates enormous financial risk, as a change in policy (or indeed in climate) could leave these reserves and their associated infrastructure stranded. Long-term financial sustainability is at odds with carbon investment. So far, £30 billion has been divested; small beer compared to the £441 billion spent on exploration by the top 200 companies in 2012. For deeper success, divestment will need to break out beyond churches and charities to affect wider market norms. If this happens, debt will likely become less accessible and capital-intensive projects at the margins less feasible. This can only be a good thing for the climate. Eventually, campaigners hope fossil fuels will face a regulatory and legislative environment that forces the whole company – not just the green-tinged outliers – to move beyond petroleum, or to make way for those who will. All this fossil fuel bashing will be too much for some. “We all use fossil fuels, you included!” says the critic when she leaps to the defence of big oil. This is true, as far as it goes, but naïve. Energy use is not a matter of individual choice – whether we like it or not we are locked into world systems whose very life-blood is oil. We can’t choose a decentralised grid, renewable supply, or decent cycling infrastructure, thanks to historic legacies and the continued power of big oil. We need divestment to work because fossil fuel companies distort politics and stand in the way of a sustainable future. “We should engage fossil fuel companies, not demonise them,” runs another counter-argument. Investor engagement can work, but only if clear goals and timelines are set. Research that helps companies extract more efficiently just gets carbon out of the ground faster; working with companies on renewables, carbon capture and storage, or low-carbon technology can work, but does nothing to transform the core business of big carbon. And when the laws of coercive competition squeeze, big carbon will always retreat to its core business. We are well past the point where the good delivered by fossil fuel companies outweighs the environmental, social, and economic negatives. We need any and all tactics to achieve a post-carbon world. Divestment puts fossil fuel companies in the spotlight, names them responsible for climate change, and confronts their power. Divestment should be supported by everyone who cares about climate change. Franklin Ginn receives funding from the Arts and Humanities Research Council.